Hottest artificial dredge to hit the deep blue in years. 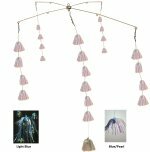 This 6 arm 36 inch natural colored squid dredge will light up the ocean and draw the billfish into your spread. If billfishing is your thing then don't leave the dock without this hot squid dredge filled with 9 inch natural colored squids. 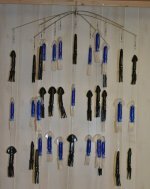 Each squid is loaded with a 1 oz egg sinker. All arms are terminated with a swivel for easy breakdown and stowed in a 38x 14inch Squidnation mesh bag. Contact us for custom color combinations! Sale Price: $399.99 / ea You Save: $100.00 (20%)!